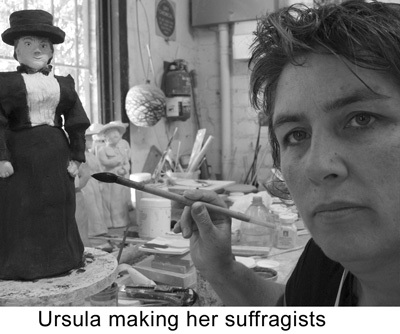 Artists Ursula Dutkiewicz http://ursuladutkiewicz.com/and Fern Smith had joined forces creating The Age of Suff-Rage traveling art installation. 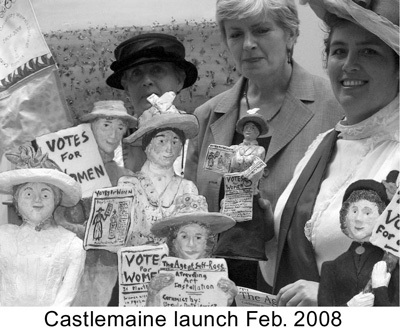 One hundred ceramic suffragists( by Ursula) along with 10 commemorative banners (by Fern Smith) were used to demonstrate the courage and determination of the women whose rage brought about the vote for Victorian women. The project illustrated the amazing time when women broke the chains that tied them to the house by becoming political and realizing their power in Victoria. 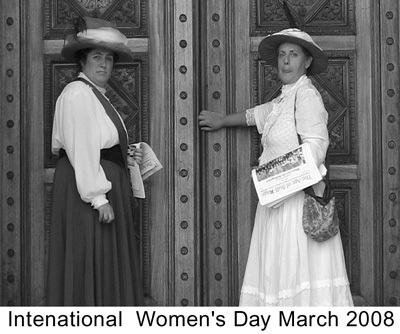 In Victoria the struggle was harder and took far longer to achieve, being the last state in Australia to give women the vote, as the senate kept blocking bills enabling women’s suffrage. 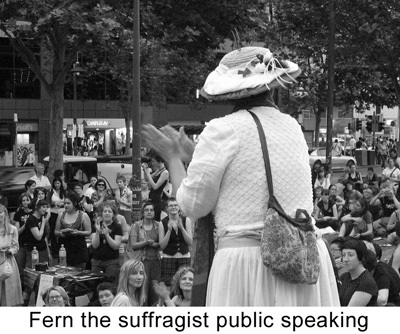 April: Ursula went as a suffragist to Parliament House Department of Justice Centenary Suffrage, Fern exhibited a digital artwork at Counihan Gallery on “feminism”, Fern organized and managed ‘conversations’ and Ursula displayed her ceramic suffragists for the first time at Brunswick town Hall during conversations and Ursula delivered a speech about art and research on the topic of her recent work. for Women Event at Haddon. 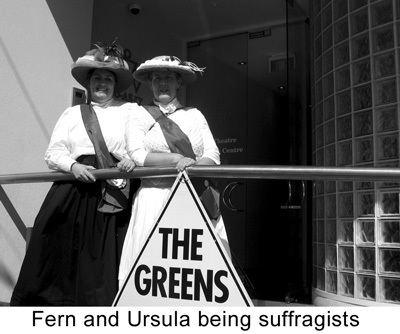 July: Fern as suffragist went to West Vale Community Centre, Vida (ceramic sculpture) to Melba Lunch, Fern and Ursula as suffragists were invited to Votes for Women Launch for School Curriculum at Parliament House, 100 hundred ceramic suffragists were on the steps of Parliament. 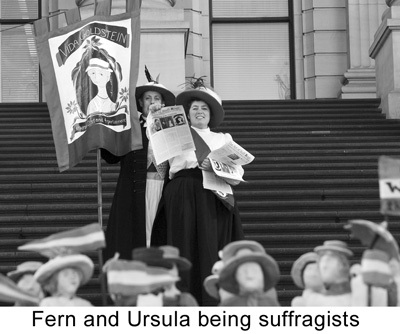 August: Ursula as suffragist was invited to Bettenswood Community House, Fern and Ursula as suffragists held badge making and ceramic workshops at Haddon Community Centre, Vida Celebration on the steps of St. Kilda Town Hall (note event will be posted later on website), Ursula as suffragist, ceramic sculptures and banners go to Euroa. 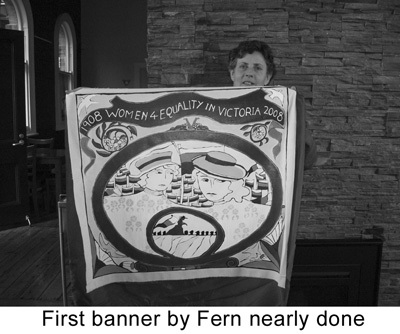 September: Fern completed the 10 panenelled painting of the 100 years of suffrage in Victoria and Ursula was completing her commission for the Haddon community. 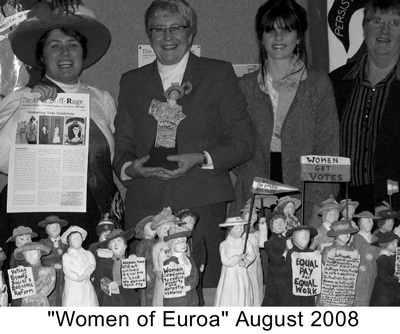 October: Brimbank Festival Glass cabinets – Ceramic suffragists on display. Conversation Hanna get the banner – an event at Gasworks Art Park. 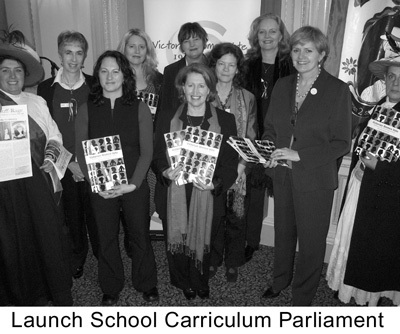 Around tables include; League of Women Voters Victoria, Women’s Electoral Lobby Victoria, RMIT University students, Business Professional Women and Union of Australian Women, Ursula Dutkiewicz and Fern Smith. 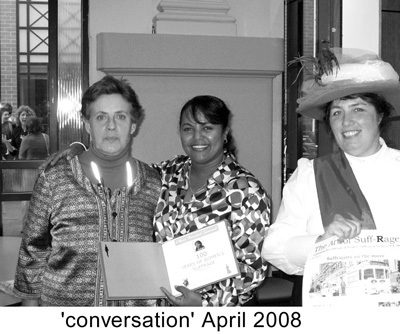 Boite – World Music Cafe – Mark Street North Fitzroy -” Composing Women” The Boite celebrates an evening of original contemporary local women’s music. 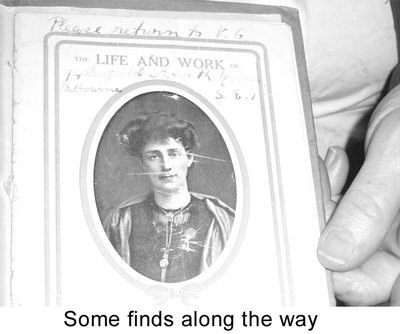 Composer Cathy Connor organised the event and presented a composition of her own and the Art of suffrage was on display. 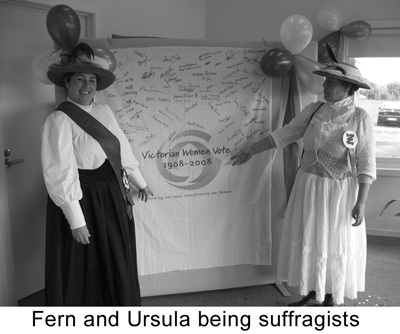 Brimbank Festival Brimbank Festival at Errington Reserve, St Albans – Roving Suffragists Ursula and Fern with artworks in tow. 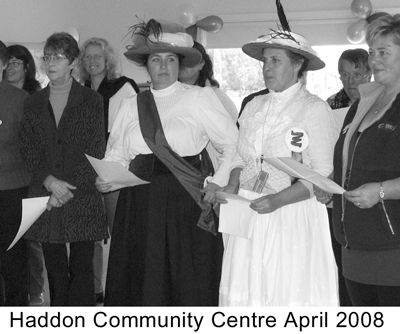 November: Haddon Community Centre will be holding their final wrap with the unveiling of the “Woady Women” sculpture commissioned from Ursula. 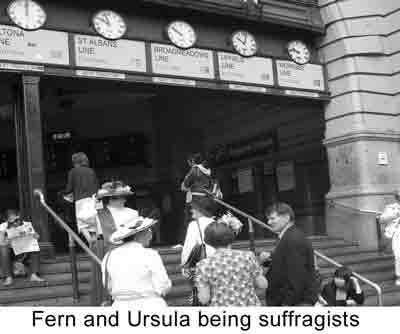 Sydenham Library Station Street, Fern Smith presented tales of the suffragists. 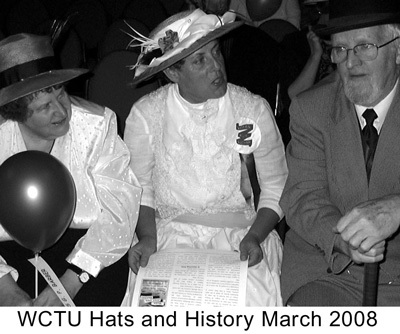 UAWVIC Cocktail Party, http://home.vicnet.net.au/~uawvic/ Incinerator Arts Complex 180 Holmes Rd, Moonee Ponds. 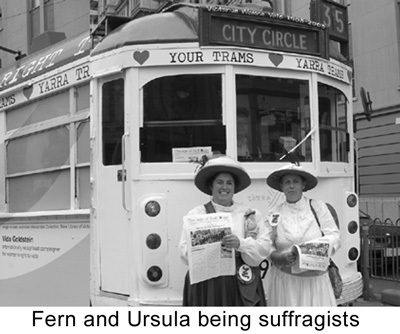 Launched by: Judy Maddigan MLA for Essendon, The Art of Suff-Rage – Ursula Dutkiewicz & Fern Smith. 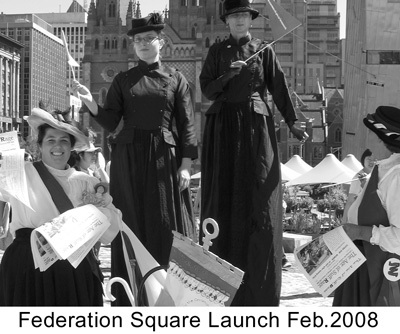 Parliament House Open Day featuring the 100 years of women’s suffrage in Victoria. Office of Women’s policy organised the event. Catherine Connor composer and her brass troupe played in the main hall, League of Women Voters Victoria and Women’s Electoral Lobby presented Conversation the student books, the three events held during the year, and Fern’s 10 panelled painting, Art of Suffrage was well presented throughout Parliament house. 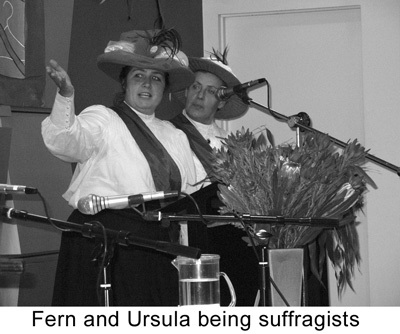 June 2009 Portland Arts Centre an exhibition of Ursula’s suffragists, the ten banners and moving landscape (http://www.cv.vic.gov.au/stories/victorian-women-vote-1908-2008/8825/moving-landscape/) and the newspaper editions. 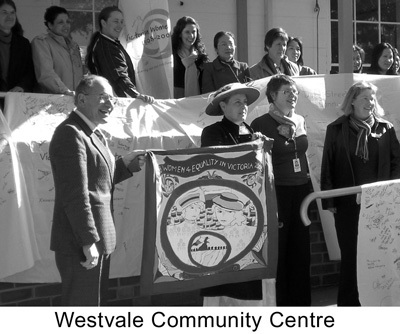 The project was supported and funded by the State Government http://www.vic.gov.au/, Office of Womens Policy http://www.dhs.vic.gov.au/for-individuals/women, Gasworks Arts Park http://www.gasworks.org.au/ , LWVV http://home.vicnet.net.au/~league/index.htm , WELVIC http://www.welvic.org.au/ and many supporters, volunteers, friends and family. To which Ursuala and Fern were truely grateful for all the support to produce a startling roving exhibition of art throught out the state. We enjoyed the year to its limit.